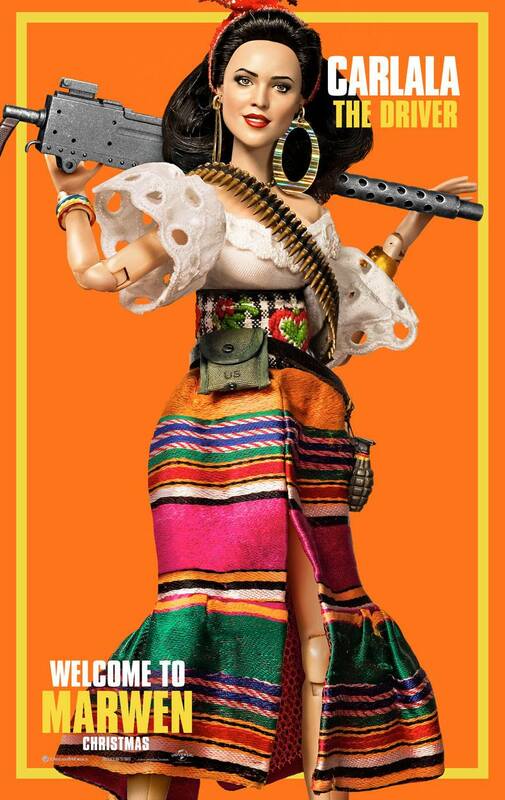 Will 1:6 Fans Agree—Or Disagree? “Not-so-undercover agent” Brian Otnes, aka as one as one of the three “PoP associates,” poses for a quick snap next to a stand-up display for “Welcome to Marwen” before entering the theater to attend the film’s sneak preview last night—somewhere in Austin, TX. (Photo: Kim Otnes) Click to enlarge. 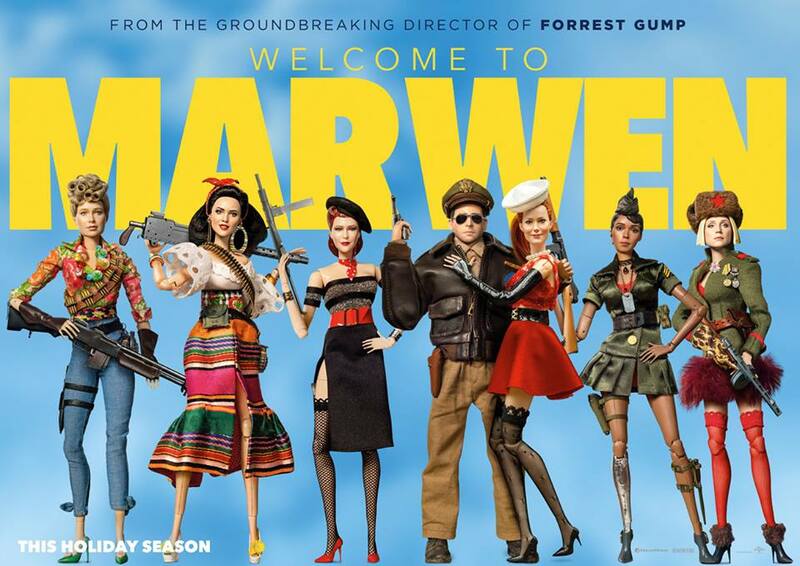 As we teased about late last night, Patches of Pride (PoP), the creator of (some of) the 1:6 scale patches used in the film “Welcome to Marwen,” had dispatched three of its most trusted associates to an early sneak-preview screening at a theater somewhere in Austin, TX. It turns out the three “associates” in question are actually family members of PoP’s head-honcho, Mark Otnes, and as such, were only too happy to be sent on a quixotic search for evidence of the use of PoP’s products in the production. Reviews of the film were mixed, but “sightings” of the company’s tiny patches were confirmed and unanimous. Of the three PoP associates who attended last night’s showing, The Joe Report was able to track down two of them, and both were able to provide us with their reactions to the movie itself as well as recounting experiences of attending the event. 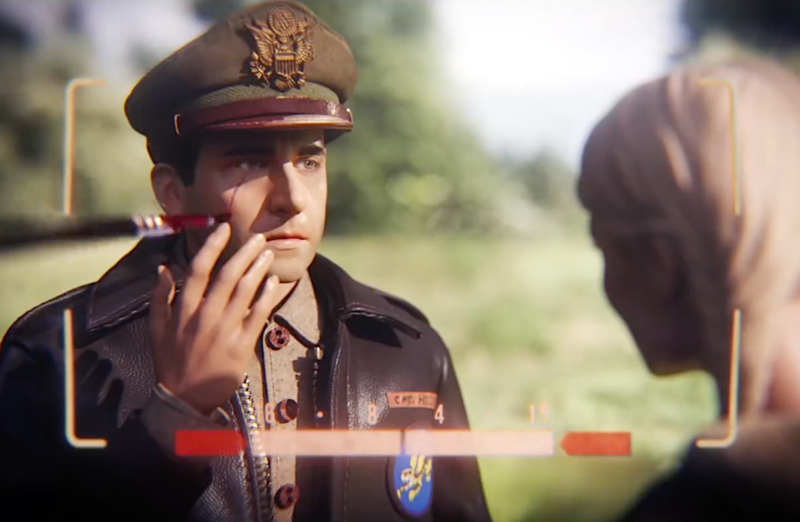 TJR: How were you able to see “Marwen” ahead of its release this coming Friday? TJR: Lucky you! Well, the #1 question fans of Patches of Pride have been asking is—do Mark Otnes or PoP receive any sort of screen credit at the end? Yes or No? TJR: No, that was always just “pie-in-the-sky” thinking. PoP never expected any official credit. 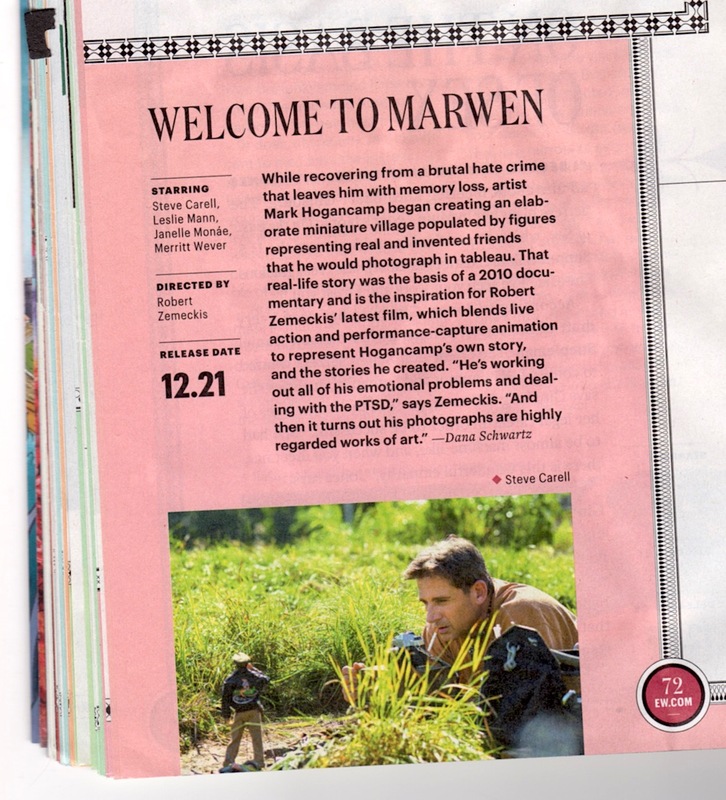 Screenshot from a Welcome to Marwen preview (Photo: Universal) Click to enlarge. 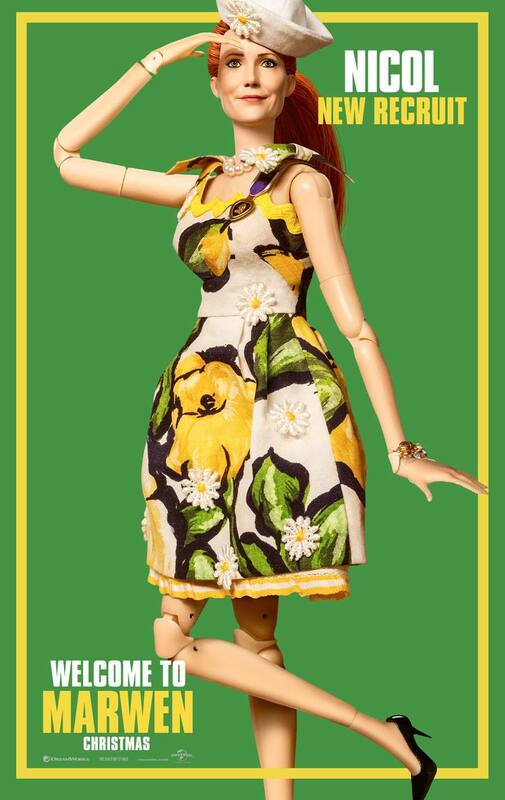 TJR: Any “sightings” of PoP products in the film? TJR: Probably not. 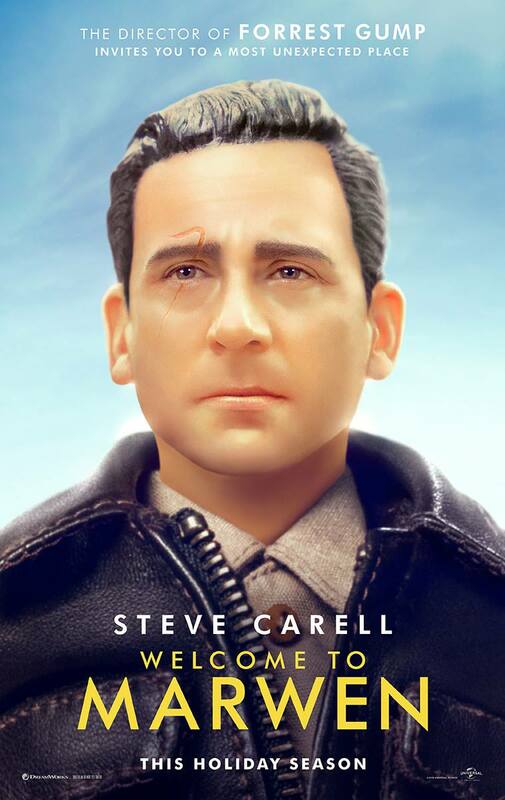 But two of the patches on Carell’s action figure are clearly PoP’s and the sergeant chevrons on the “G.I. 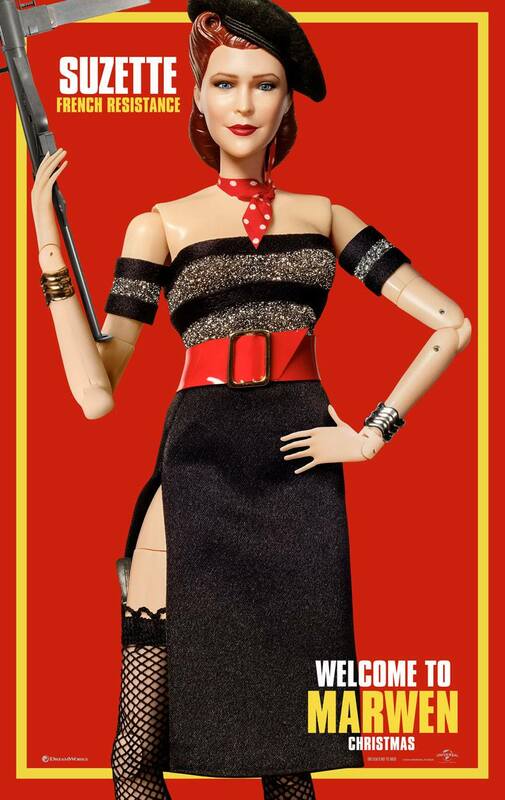 Julie” doll are also PoP’s, as are—quite possibly—some of the German figures’ patches. We won’t be sure until we get to see the film ourselves (this Friday). You saw PoP’s other patches though, right? TJR: Very exciting! PoP does create a TON of custom waterslide decal orders, body tattoos included, but I can’t recall creating that particular design, so I’d have to say I doubt PoP created it. But who knows? We won’t know for sure until we see the movie on Friday! TJR: Agreed. 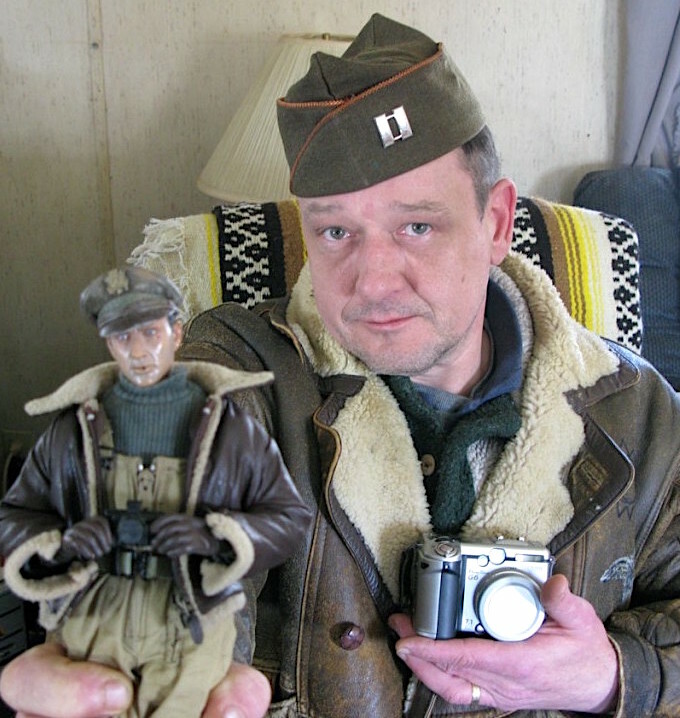 Hogancamp is a real 1:6 kitbasher too; a real scrounger. Perhaps he found the decal included with an old model kit somewhere. We really can’t say for sure at this point. TJR: What was your personal reaction to the movie? Good? Bad? Or..? TJR: Very interesting observations. Thanks for all the great intel, Brian! TJR: Please tell us about your not-so-secret “mission” yesterday to the movies. TJR: What were your impressions of the film? 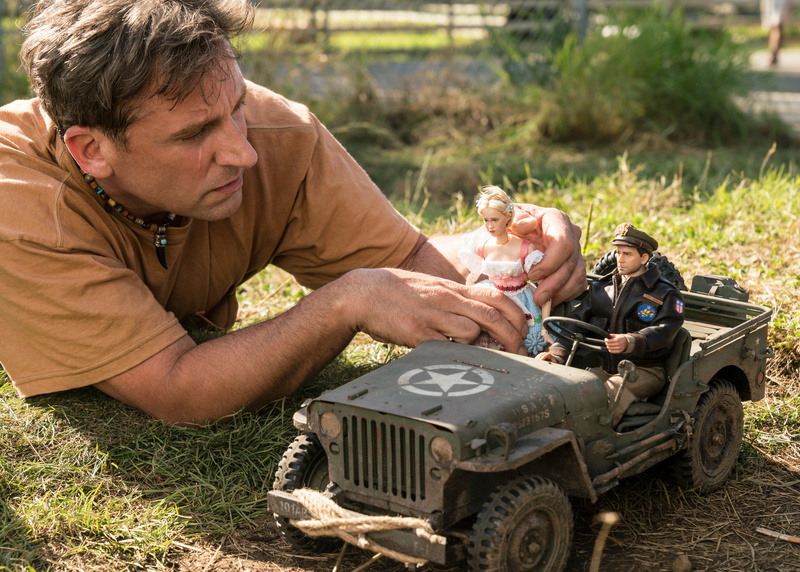 Bottom Line: With only two days to go until it’s premiere, “Welcome to Marwen” looks to be an exciting and (hopefully) enjoyable film for fans and customizers of 1:6 scale action figures. Our sincerest thanks today to Mr. Otnes and Mrs. Wilson for their generous contributions to this article. 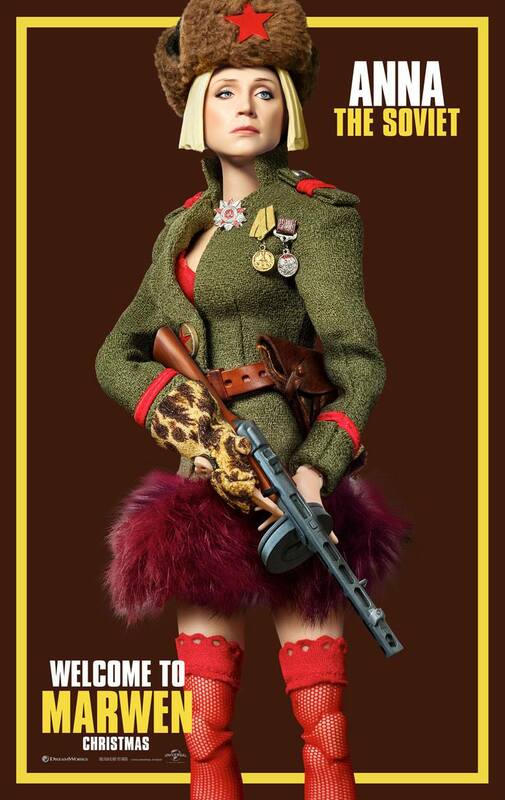 “G.I. 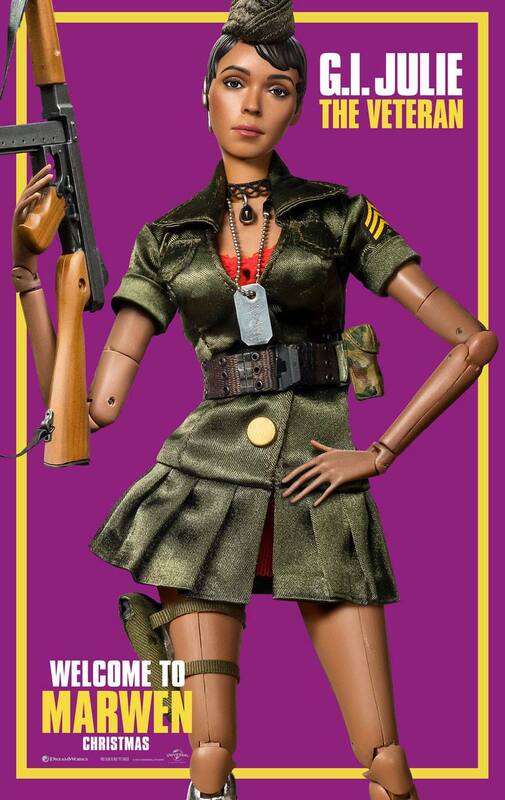 Julie” sports a set of US Army sergeant chevrons from Patches of Pride on her custom fatigue-dress. (Photo: Universal) Click to enlarge. 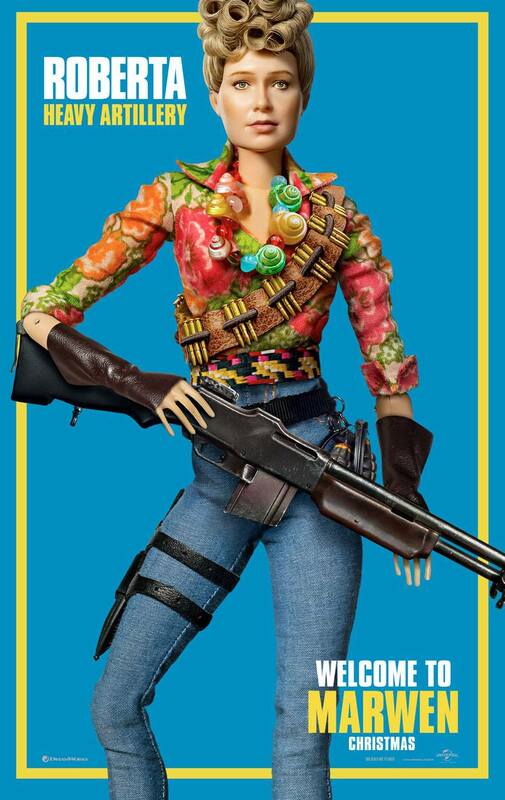 We all know that “Welcome to Marwen” premieres in 3 days (nationwide) this coming Friday. 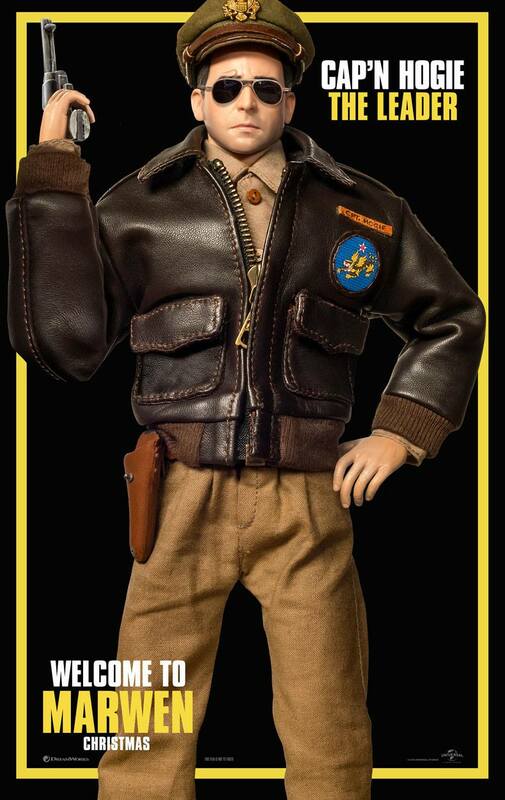 But what would you say if we told you that Patches of Pride (PoP) has close “connections” with a couple of people who will see the movie much sooner than that—AND—will report their findings and opinions back to PoP (and the rest of the 1:6 scale universe) exclusively on tomorrow’s edition—of The Joe Report? Pretty cool surprise, huh? How is this even possible, you may wonder? Stay tuned, loyal PoPsters, because all will be revealed tomorrow (Wednesday). Bottom Line— Fret not dear readers, nothing illegal is going on and no plot “spoilers” will be revealed to you ahead of Friday’s eagerly anticipated premiere in theaters nationwide. BUT— you can bet that our two trusty PoP “associates” will be watching the credits rolling at the end of the film VERY carefully and will report their findings here tomorrow—good, bad, or otherwise. See you Wednesday!